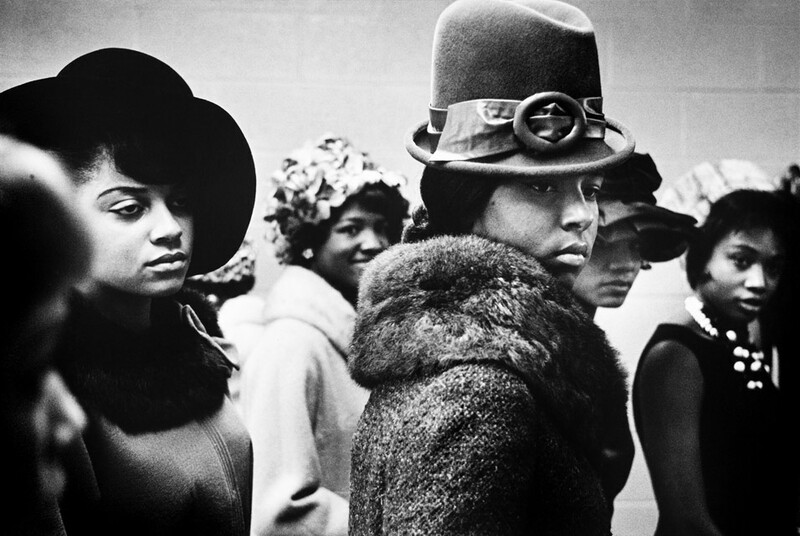 Harlem Fashion Show, Harlem, 1963 by Leonard Freed. Photo: Courtesy of Curatorial Assistance, Inc.
NEWARK, NJ.- Posing Beauty: African-American Images from the 1890s to the Present, a photography exhibition that explores the ways in which African and African-American beauty has been represented in the media historically and in contemporary times, at the Newark Museum through April 28, 2011. Curated by Deborah Willis, Chair of the Department of Photography & Imaging at New York University , Tisch School of the Arts, the exhibition explores contemporary notions of beauty, by framing them within the contexts of art, history, popular culture and the political. Posing Beauty considers the idealization of beauty in Western art and image-making, through photography, video, fashion and advertising. This exhibition challenges the relationship between beauty and art by examining the representation of beauty as a racialized act fraught with meanings and attitudes about class, gender, and aesthetics. More than 80 works drawn from public and private collections are featured in Posing Beauty. Artists in the exhibition include Carrie Mae Weems, Eve Arnold, Sheila Pree Bright, Garry Winograd, Bruce Davidson, Jeanne Moutoussamy-Ashe, Mickalene Thomas and Timothy Greenfield-Sanders, among others. A companion book by Deborah Willis is published by W.W. Norton. The exhibition is presented in three thematic sections: the first, "Constructing a Pose," looks at the interplay between subject and photographer; the second, focuses on Body & Image and questions our current understanding of beauty and how it has been interpreted through the body, and finally Modeling Beauty and Beauty Contests, offers a reflection on the ambiguity of beauty, its impact on the individual and mass culture, and how it shapes the way we see the world and ourselves. The Newark Museum offers tours, activities and events during the run of Posing Beauty. Additionally, as a complement to the Posing Beauty exhibition, the Marion Thompson Wright Lecture Series will explore the evolution in the concepts of black beauty during its 31st annual conference, Beauty and the Black Body: History, Aesthetics, and Politics, Saturday February 19, 2011, from 9:30 to 3:30 p.m. on the Rutgers-Newark campus. Deborah Willis, curator of the Posing Beauty exhibition, will be the keynote speaker.